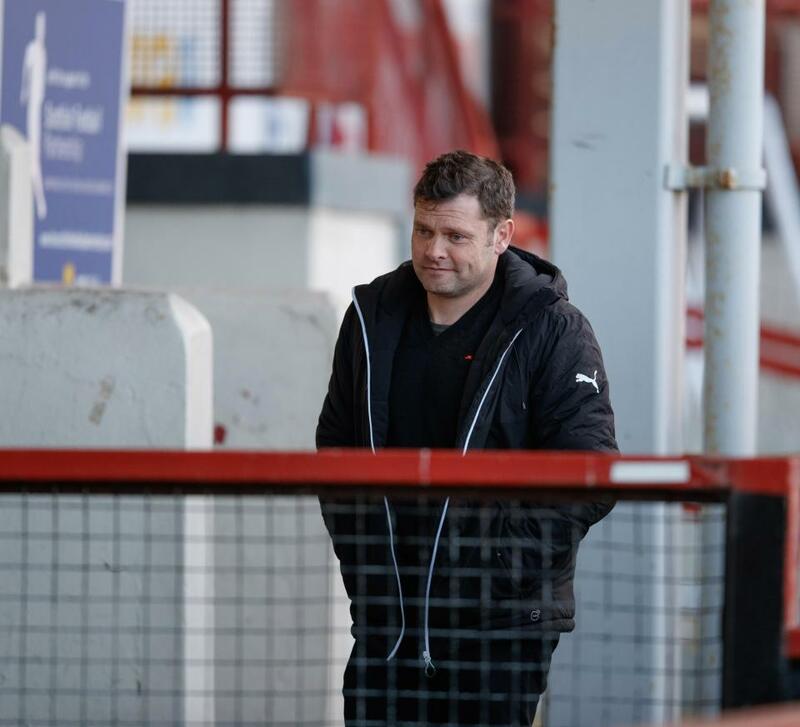 Outgone Rangers manager Graeme Murty was a surprising attendee at last night’s Glasgow Cup Final, in which the Blue half of Glasgow won convincingly 3-0. The annual match, taking place at Firhill as always, featured the club’s U17s versus Celtic’s equivalents, and they impressed as they brought the trophy back to Ibrox. However it was Murty’s presence there which gained a great deal of attention and tongues wagging. Whether the 43-year ex-Reading man was aware his time at the Ibrox hotseat was over and was there simply as a club supporter is unclear, or whether he was still unsure himself if he would remain in the position, but he was back with his roots – the kids. They certainly did the club proud, unlike, it has to be said, their senior counterparts, and we look forward to the coming years when a few of these lads hopefully make the grade. Whether Murty will be the man at Auchenhowie to tutor them remains to be seen, however, but he showed a touch of class in going to the match, aware of how much he’d be the centre of attention. Crass comment and very undeserved. The man is the latest individual who has been sat on a chair and burned alive. Hopefully thousands of Gers supporters can see through the vilification of the man and appreciate he did his very best for a Board who are guilty of gross incompetence. And who seem to be even more persistent in a wrong choice of their next appointed victim. Thats a sad remark he only wanted the best for our club rfc! ! Bluebear - don't think that's a fair comment. If Murty had been left to perform the job he was hired for then he probably would be getting praised for last night's performance. But no he helped out and was doing ok until players he didn't buy let the club down. I hope he stays. I don't understand the hostility towards him. He has conducted himself a lot better than anyone else at the club these past years. I agree with IN, to turn up under the pressure he has been facing is classy. He knew he was done, he will be as disappointed as us. We still don't know what went on in the dressing room, so I may not going to blame him without reason. Stepping up when asked although not being good enough isn't his fault. Sorry bluebear, but another comment from you that lacks any class or dignity and epitomises what is wrong with our club. The earlier one regarding your description of celtic on another thread - yes we're all hurting but we should show the man some respect. He stepped up when nobody else did and was the last man standing. The role has clearly taken its toll on Graeme and hopefully being made a scape goat by the board hasn't ruined his career. The board should hang their heads in shame. Murty wanted to see Celtic win everything this season, however fortunately our youngsters showed what the senior squad couldn't do! He's shown his coaching abilities these last few months and you want him teaching the next generation? On yer bike son. While he may indeed be a classy, nice dignified fella but those are way down the list of things i look for in a good coach. I cannot castigate anyone for giving his best. He did his best I believe, I just dont think he was up to it. He stood up and did what he was asked to do by the board, cause they couldnt organise a "p up" in a brewery. He stood tall when he could have and should have, probably, kep his down and let someone else take the flak. He was undermined and not given true support from the same people who put him in that position. I for one applaud Murty for all of that and am sorry he was treated so badly by those above him. I would love him to go back to the role he was undoubtedly great at and probably more qualified for. By turning up at the game he showed way, way more class than those above him. Murty you get my vote to stay.